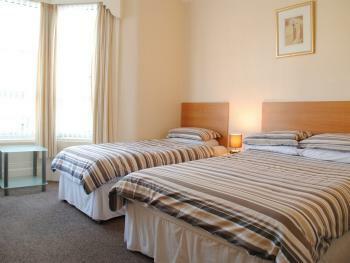 Double bed with en-suite shower room. 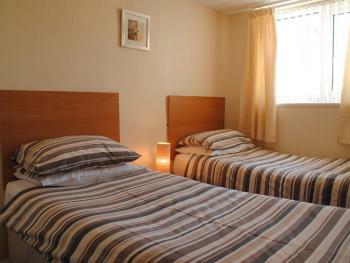 Central Heating, uPVC Double Glazing, LCD flat screen T.V., complimentary tea, coffee and biscuits. This price is based on 2 adults sharing. 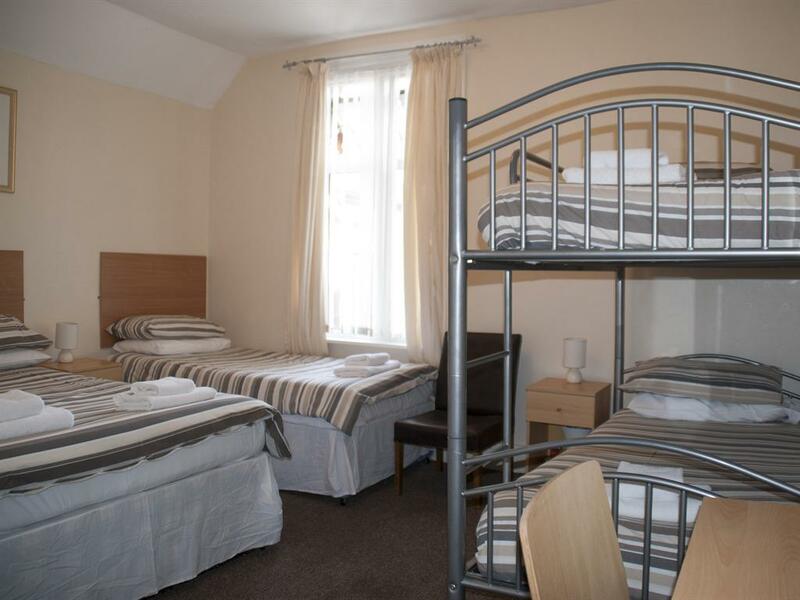 Two single beds with en-suite shower room. 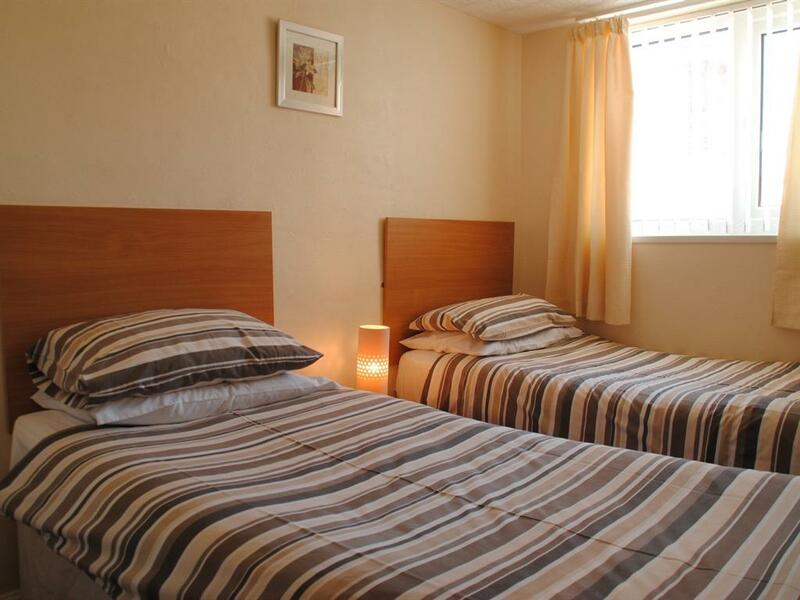 Central Heating, uPVC Double Glazing, LCD flat screen T.V., complimentary tea, coffee and biscuits. This price is based on 2 adults sharing. 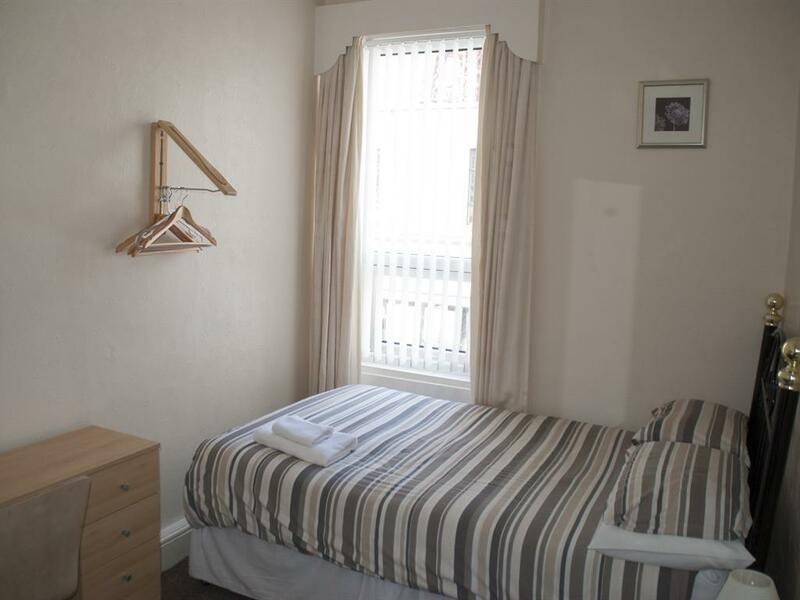 Three quarter size bed with en-suite shower room. Central Heating, uPVC Double Glazing, LCD flat screen T.V., complimentary tea, coffee and biscuits. Double bed & single bed with en-suite shower room. 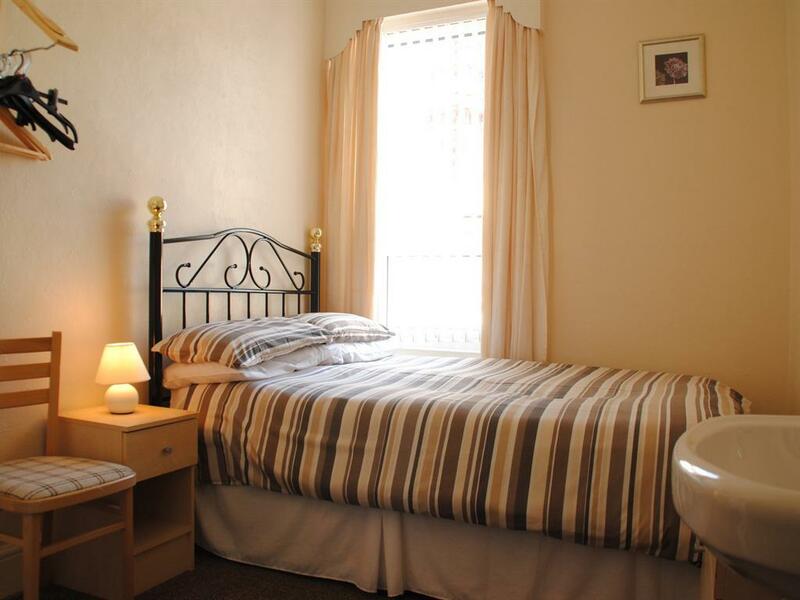 Central Heating, uPVC Double Glazing, LCD flat screen T.V., complimentary tea, coffee and biscuits. This price is based on 3 adults sharing. Double bed & 2 single beds with en-suite shower room. 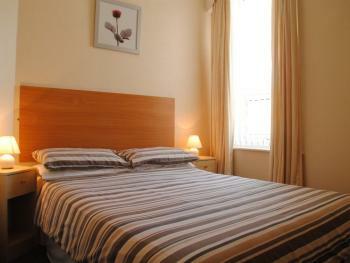 Central Heating, uPVC Double Glazing, LCD flat screen T.V., complimentary tea, coffee and biscuits. This price is based on 4 adults sharing. 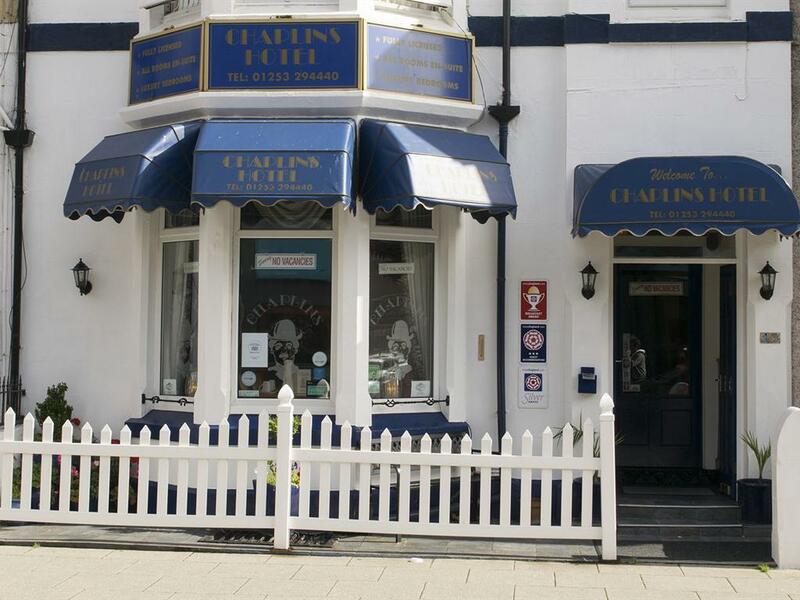 Chaplins Hotel is an accredited Visit England 3 star guest house providing friendly, family run bed and breakfast accommodation in Central Blackpool. 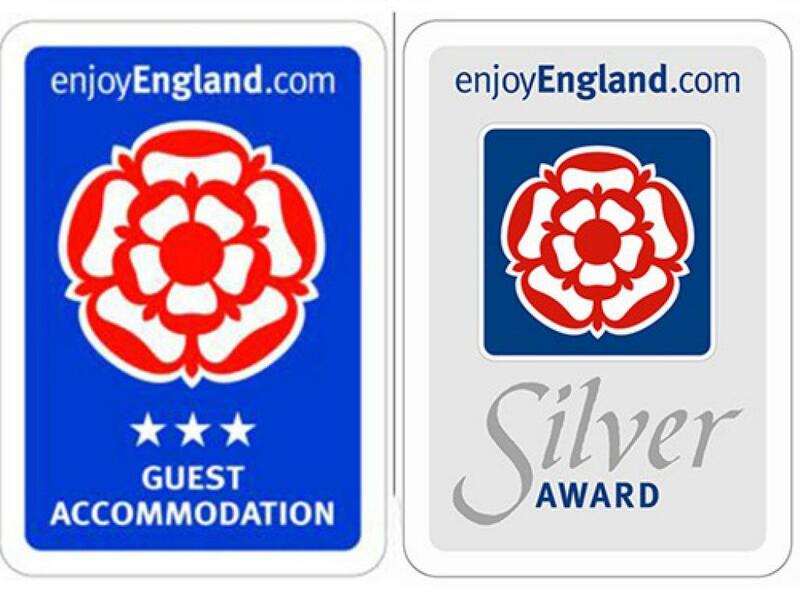 We have also been awarded the prestigious Silver Award and also a Big Breakfast award for our extensive breakfast menu. 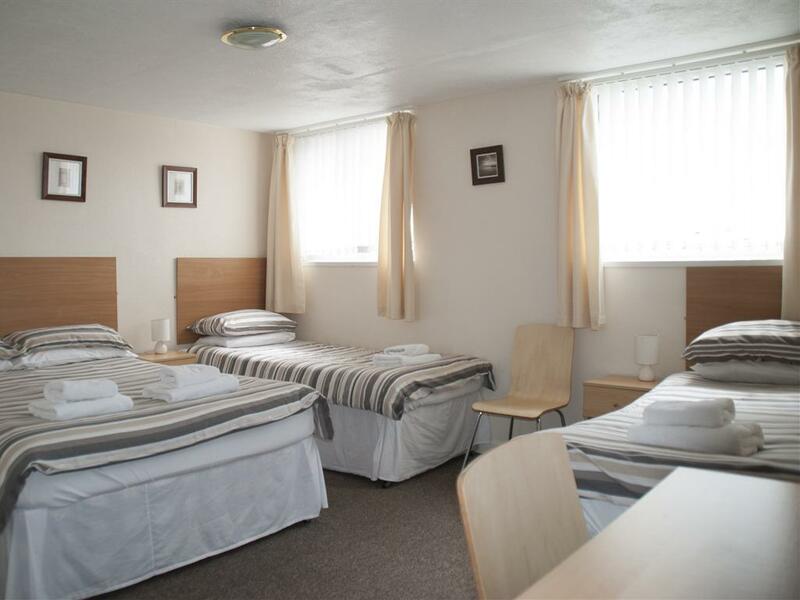 We have 13 rooms which are all en-suite and can provide accommodation for up to 35 guests. All rooms have LCD flat screen T.V’s, tea and coffee facilities, gas central heating for those chilly Blackpool nights and double glazing. Some of our rooms also have fantastic views of Blackpool Tower. 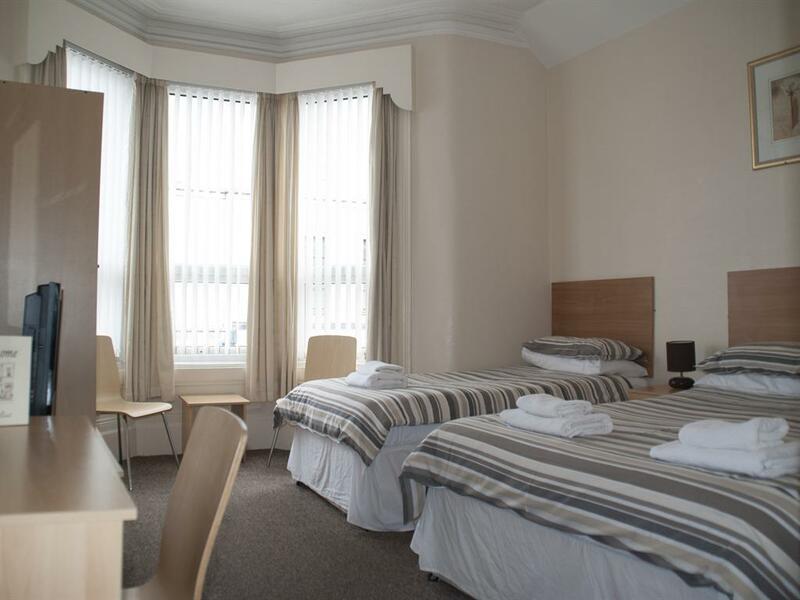 Whether you are looking for b and b in Blackpool as a single person, a couple, a family or group* then we have rooms to suit all. 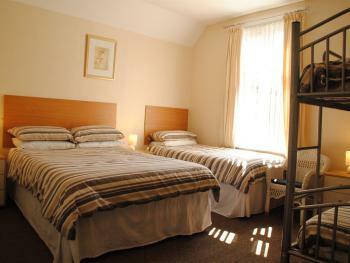 Our most popular family room is spacious and comfortably sleeps up to 5 people. 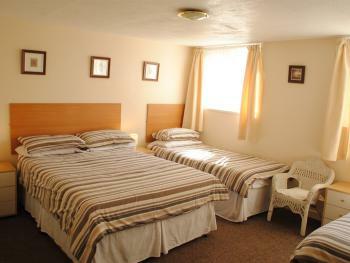 We also offer free wi-fi access to everyone staying at our guesthouse. 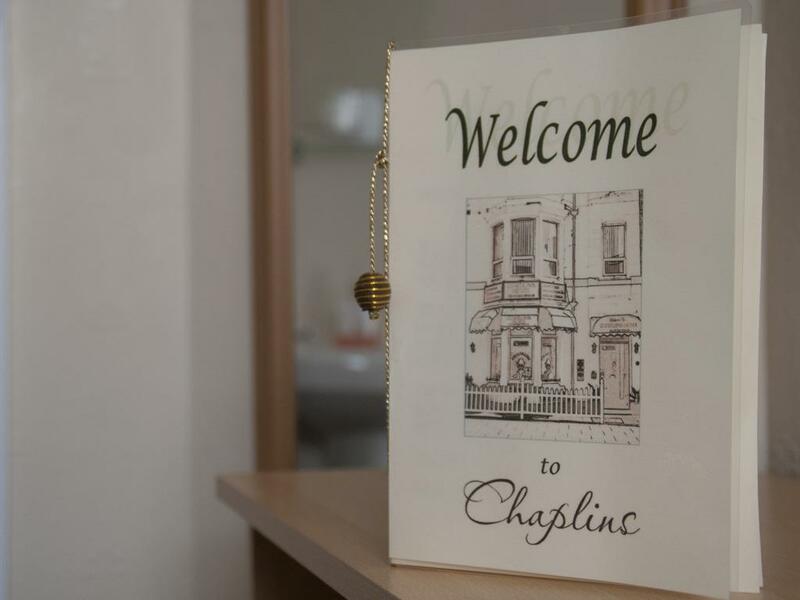 Chaplins Hotel Blackpool is situated on the lower end of Albert Road and as such is very near to the world famous Blackpool Tower - only a 2 minute walk away. 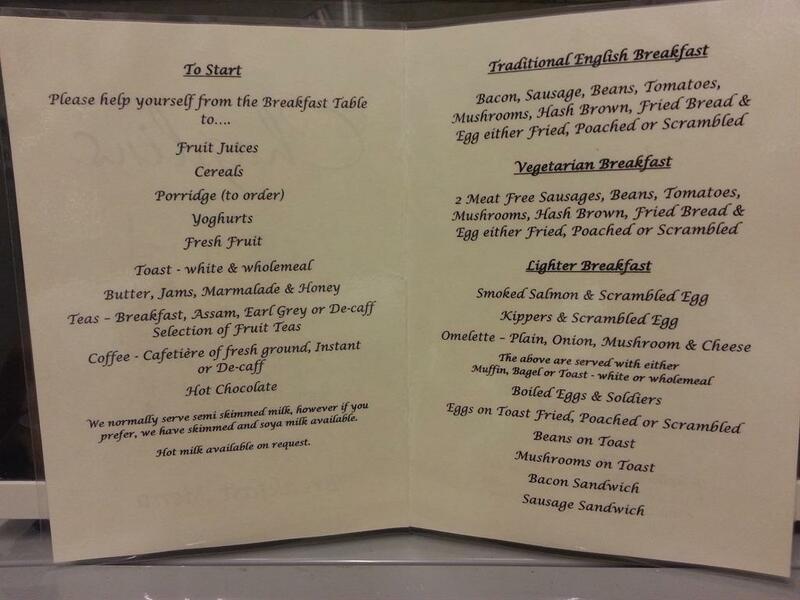 In fact we are the closest accredited bed and breakfast to the Tower. 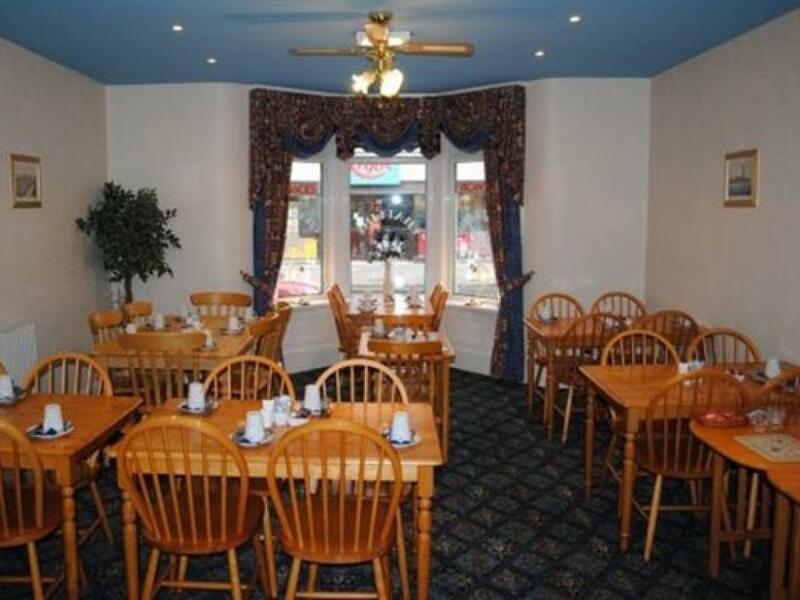 Our guest house is also very close to the Town Centre, Winter Gardens, Opera House, Theatres, Shops and the extensive and varied night life that Blackpool has to offer. 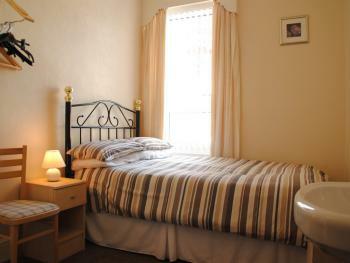 If you are looking for bed and breakfast accommodation close to the beach then look no further. 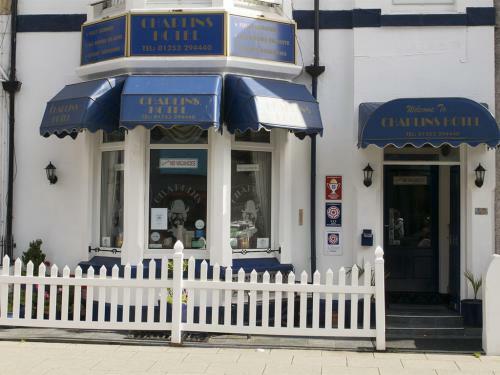 Chaplins is ideally situated to both the Central and North Piers, both being only 5 minutes walk away. The famous Golden Mile Promenade is literally around the corner from us and if you want to visit Blackpool Pleasure Beach then just hop on a tram to take you there. Whether you are visiting Blackpool by car or coach and are looking for a b&b within easy reach of car parks and the coach station then Chaplins Hotel is the ideal choice. We are a minute away from the large Central Car Park with the new National Express Coach Station at the side. * please note - we do NOT accept all male parties. From the M6 take the M55 towards Blackpool and follow the signs for 'Main Parking Area's & Central Blackpool'. 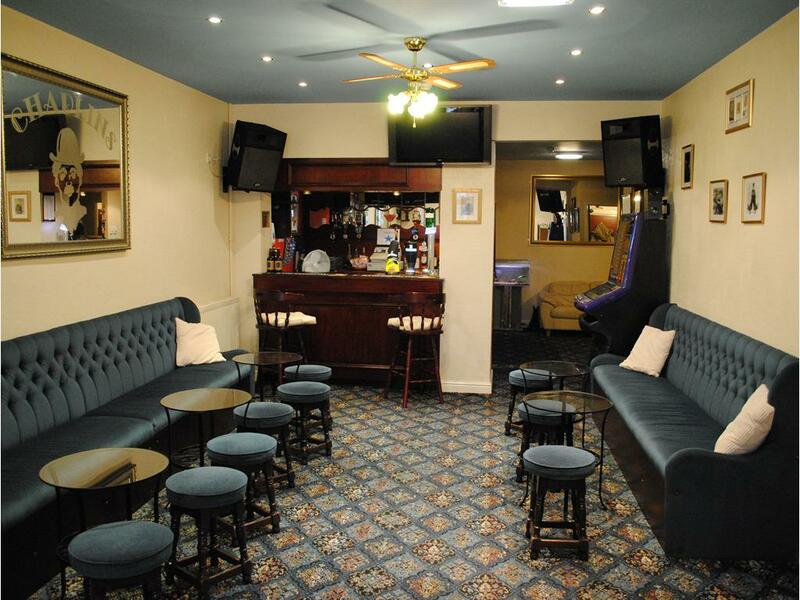 You will join the link road; head as far as you can go, passing Bloomfield Road Football stadium on your right. You will head into Central drive car park. Exit left onto Central Drive (as it's one way), follow the road round to the right with McDonalds on your left and we are just on the right hand side opposite Argos.